The National Consumer Commission (NCC) has convened a meeting with Samsung Electronics South Africa to assess the company’s progress with recalling of the problematic Note7 smartphone from the South African market. The meeting came after numerous reports of Note7 devices exploding in the US and Asia because of battery faults. Samsung South Africa last month notified the NCC in terms of section 60 of the Consumer Protection Act that it was implementing a voluntary exchange programme to recover all devices that were sold to consumers locally as pre-launch purchases. 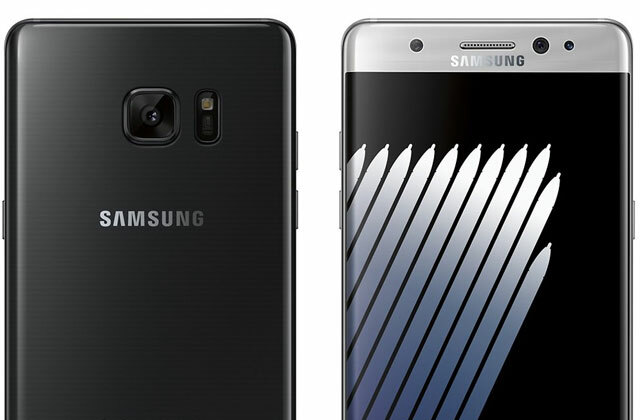 The Note7 was expected to arrive in the country in November. At a subsequent meeting, the company advised the NCC that it would also extend the voluntary exchange programme to consumers who may have acquired the device from overseas purchases. At a meeting held on 18 October at the NCC’s offices in Groenkloof, Pretoria, Samsung advised the NCC that it has since intensified efforts to recover devices locally by, among other things, implementing a full-on safety recall programme, placing a global airline ban on the device, as well as the setting up of exchange zones locally at all international airports. Speaking at the meeting, NCC commissioner Ebrahim Mohamed said South African consumers were quite fortunate that the defect on the Samsung Galaxy Note7 was detected before it could be launched officially in the country. “The use of defective and hazardous products, particularly those that are electronic and motorised in nature can have devastating consequences for consumers,” he said. “The NCC is quite relieved that the mobile phone device was recalled before especially children who are prone to keep up with technology trends, could be exposed to its risks,” said Mohamed. “The NCC has been made aware of the pre-launch sales that took place in the country, as well as the possibility that the device could have entered the country from overseas as parallel imports. “We thus call upon all consumers with active Samsung Galaxy Note7 mobile devices in the country to immediately stop using them, and to return them to the nearest Samsung distributor for a full monetary refund or value equivalent device exchange,” he said. Mohamed said that the NCC was pleased thus far with Samsung’s cooperation and compliance with the Consumer Protection Act in respect of the safety recall, and that its investigations team was keeping a close eye on the matter. The NCC is set to meet with Samsung again at the end of October to further monitor progress on the recall of the mobile device. Earlier on Thursday, Samsung announced that it would be setting up exchange kiosks at Cape Town, OR Tambo and King Shaka International airports after the Note7 had been banned from flights across the globe.